This one was a bit easier...I just finished a postage stamp quilt top last month. I tried to do a little math to figure out how many strips of each color I would need. At least I'm sure to not have cut too many, I can always cut a few more if needed. 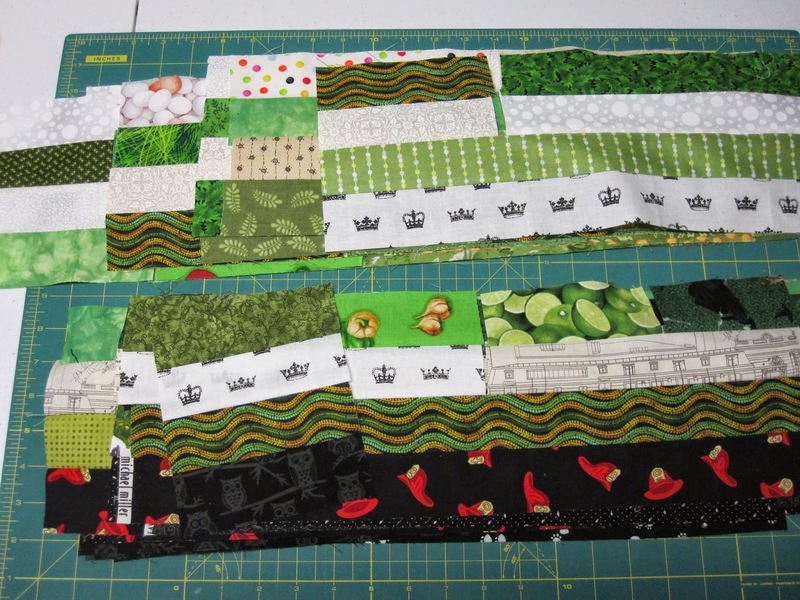 I probably should have put more thought into sewing my strips together...hopefully in the end it will have enough variety to look very scrappy. 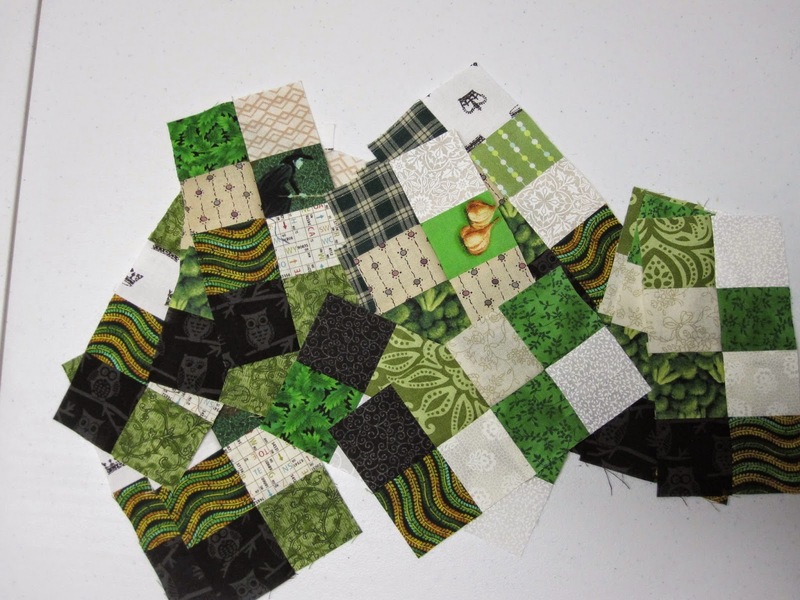 These are the first few blocks I completed before we had to go off to celebrate Christmas with Jim's family. I was able to complete about 50 more when we got home, so I still have homework left for the week....plus I've got some embroidery work to do to make Christmas gifts for my co-workers....it's just never ending! 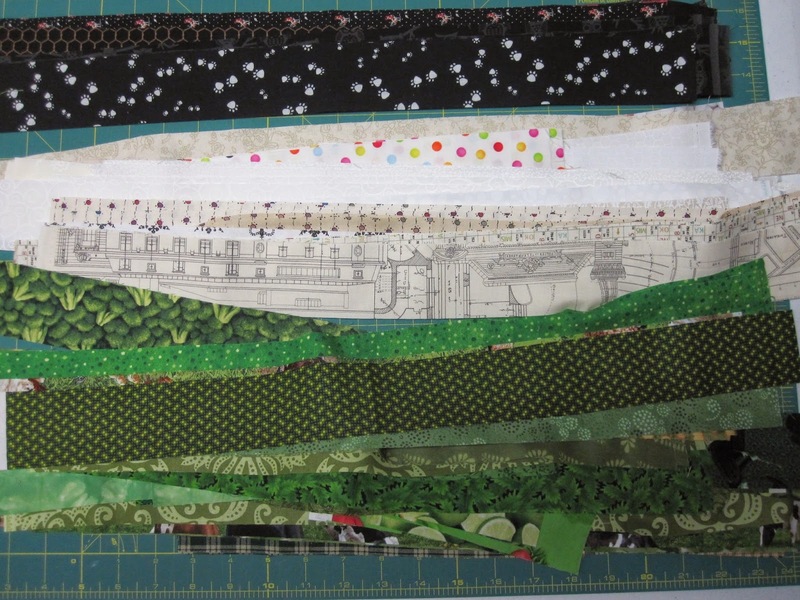 Oh, what Fun fabric! pretty.. Thanks! You can't go wrong with Fun! I like the variation in your greens. Looks like lots of variety to me! Love the variety of your greens!